Sorry to bother you, what about the OHM 2.0 is there a way to get the exact size for the zpack liner? Please advise and thanks. I will be looking online too. Note that when I got mine, it was a special request, however, now they are a permanent part of what Zpacks offers. 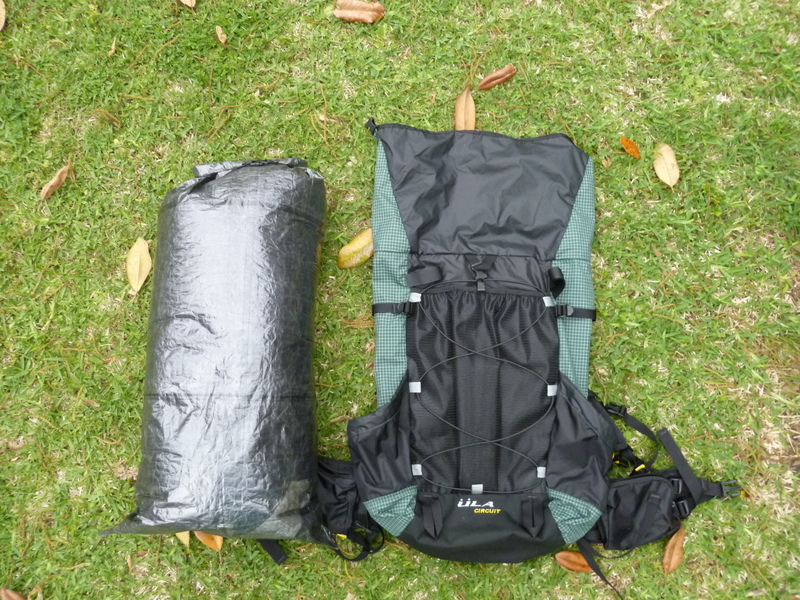 The size of mine is listed above, but I believe that the one that Zpacks sells now is slightly bigger. Either way, I can say that it fits great in the OHM 2.0 too (my son had one). Hope this helps. Awesome, it looks like I will go with the 18’X36″ then. I was just worried that the pack liner would exceed its capacity limit and leave unused empty space around the liner in the pack after someone on another site mentioned this. And yes I was looking into the Lawson dry bags because it doesn’t need to be seam sealed. Cool, glad I could be of some help. Let me know what you think of Lawson’s dry bags once you get one! And again, with my dry bag, it fit’s perfect. There is no useable space between the pack and the liner. But like I said, it doesn’t bulge the sides of the pack out so the outside pockets are able to be used just as they were designed to be used. At this point, I can’t see going without a dry bag such as this again. Do you think you could get more use out of the ULA Circuit pack with a 20″x40″ pack liner compared to the 18″X36″? Sounds like maybe you are checking out one of Lawson’s dry sacks? I still want to try out one of his and hopefully one day I will get too! Concerning your question, I don’t see how I would get more use of of the pack with a 20 x 40 pack liner. The 18 x 36 really does fit like a hand in a glove. But of course, it won’t make it worse. It will still fit fine and I don’t figure that the few extra inches would be enough to cause any concernable bunching. After having the 18 x 36 though, I have decided that it is what I will stick with for this pack. In my opinion, anything more is only extra weight, but that is my opinion. Maybe if you had need of that size of a sack out of the pack, then it would make more sense to me. What I really like about this size is that it fits great around the sides which means items don’t accidentally bulge out and occupy my side pocket space. Also, it is the same height as my pack. This is great considering I have to roll down the pack as well as the pack liner, so I don’t find that there is really any lost space there. As well, I can fit everything that goes inside my pack inside the liner so it all stays dry, not just my quilt and clothing. I like it better this way. If anything, I would just recommend getting the envelope-shaped pack liner to use with the Circuit. The bottom of the Circuit tapers, and the envelope shaped liners will also taper at the bottom. There again, a perfect fit, at least in my opinion. Anyway, sorry for dragging it out, but I really love the way this pack and this size/shape pack liner fits together. If you need any more pics or have any more questions just let me know and I will do my best to answer your questions.